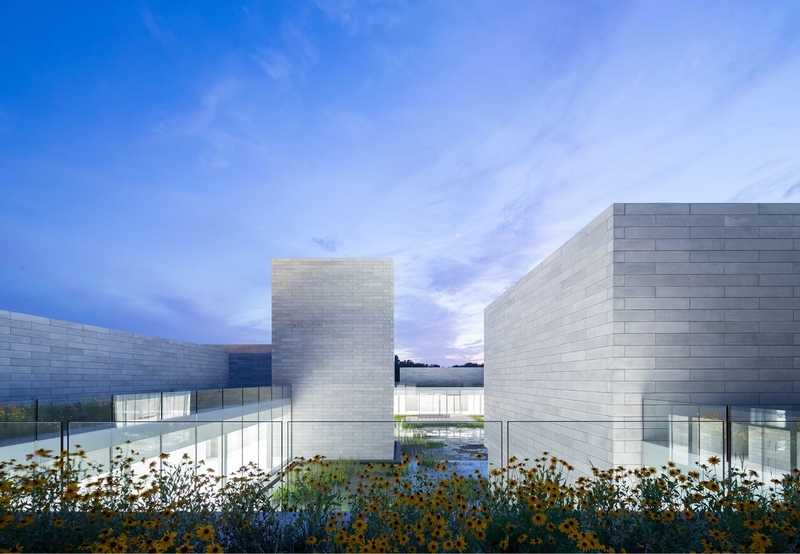 the glenstone museum is a journey offering its visitors the opportunity to experience a unique approach to art. architecture and contemporary art merge with the majestic landscape. the adventure begins among the forest, as the trees give way to meadows, and the first solid elements appear. 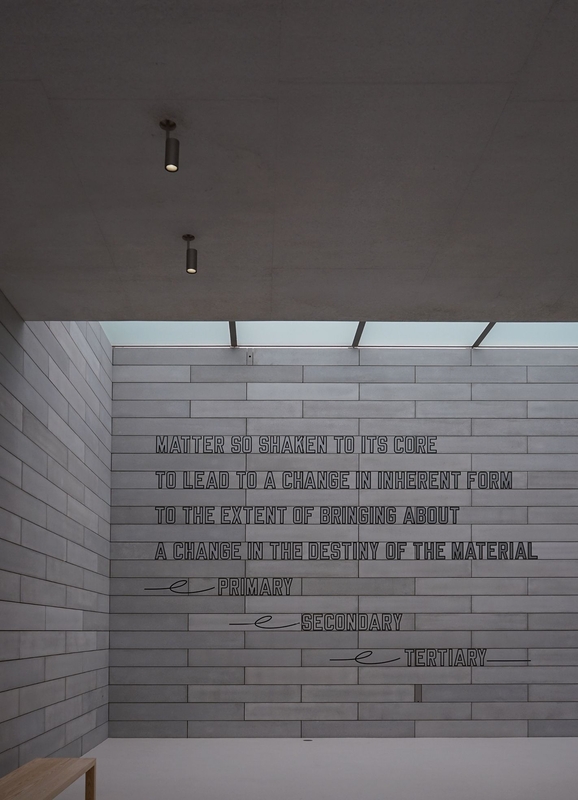 the volume of the museum appears rooted in the earth, its sharp edges are softened by their contact with nature. the galleries surround a water garden strewn with water lilies and aquatic plants. 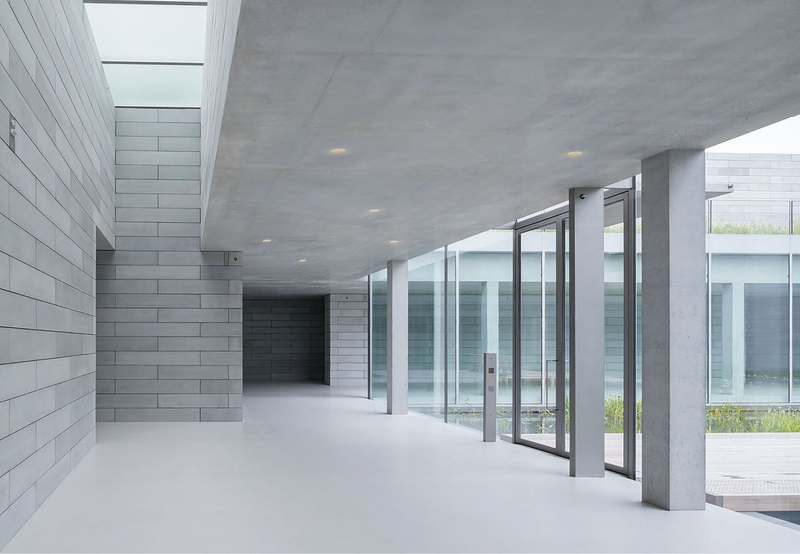 the glazed surfaces and concrete blocks merge like a continuous skin to fill the internal and external spaces of the building. from the interior, the structure frames the sky in every direction and creates, as the architect thomas phifer describes, ‘a meditative experience, in which one always returns to this space open to heaven and light’. the mission of the architect was to ‘use nature as the primary material’. a powerful design with a minimal palette, refined details and strong contrast between the natural light and the deep shadows generated by the volumes of the building itself. lighting is perfectly balanced between nature and man. maximizing the light was a key criteria for the project. artificial illumination compliments the natural light streaming into all areas throughout the day. the highest quality of light offered by Viabizzuno is the perfect complement, due to the latest generation of electronic light sources. 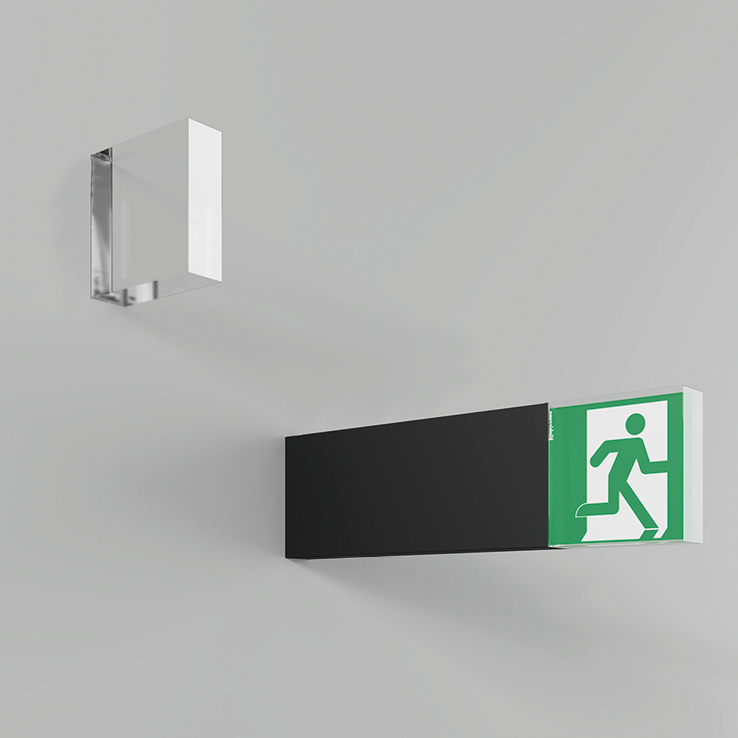 the lighting fixtures become a substitute for natural light only when and where it is needed. 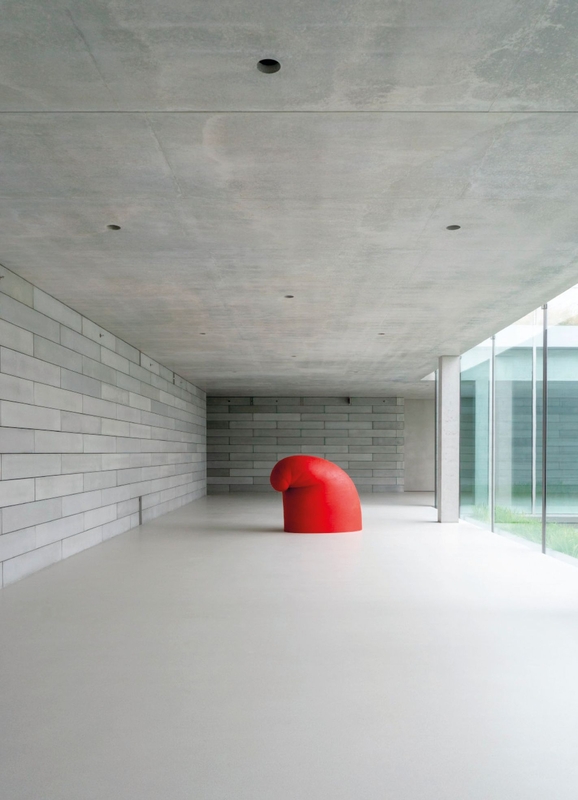 the use of the Viabizzuno foro fixture, integrated within the solid cement that surrounds it, is the ideal solution for this project, allowing a material continuity of the internal surfaces, the light sources reveal their magic, enhancing the space while the natural light fades and the stars begin to appear in the night sky, so do these lights within the museum. 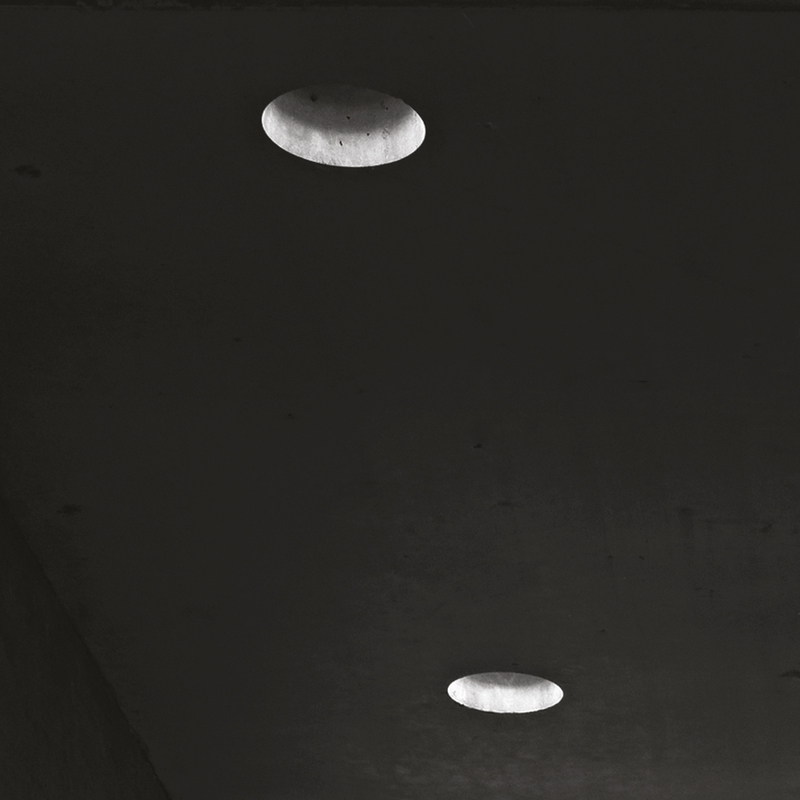 the econo ceiling fixture have been customized with a ‘glenstone’ grey finish to make it a physical extension of the surrounding concrete material. 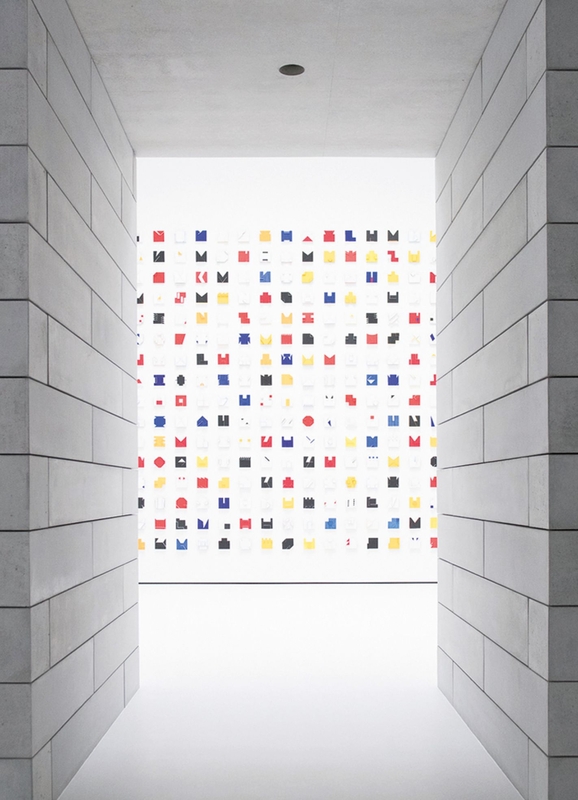 the faretto maniglia collection was designed to guide the visitor subconsciously through the museum, connecting the areas between the galleries, and guiding the guest from beginning to end, from natural light to artificial light.